Hardwood flooring continues to be a favorite among homeowners because of its timeless style. In fact, nothing seems to add style, luxury and value to a home more than hardwood. Lorens Carpet One Floor & Home in Missoula has your local hardwood experts, and we offer a great selection of high-quality hardwood brands and styles. Hardwood holds up to its reputation of being beautiful and durable. Hardwood flooring can be considered an investment in your home, so you want to choose something that is durable and stylish but also suits your personal styles. Just like any other flooring, hardwood comes in a variety of options ranging in different species, finishes, and compositions that best suit you and your lifestyle. Our hardwood selection features solid and engineered planks, finished and unfinished planks, and several different species. Just like most other flooring types, hardwood comes in different styles. There are modern and traditional hardwood floors, as well as rustic options that feature weather worn looks. The different styles of hardwood are characterized by features such as plank length and width, wood grains, color, shine, and even texture. Not only does hardwood vary in style, but it also varies in types. The different hardwood options include maple, cherry, hickory and oak among others. Each wood option offers unique shades and character, and they also feature different strength levels and wear resistance. Solid hardwood is exactly as its name describes, and is a solid piece of wood from the surface to the backing. These planks are typically ¾” thick, and can be sanded or refinished depending on the bevel and where the tongue of the plank is located. Engineered hardwood is made from multiple wood layers, making it more dimensionally stable than solid hardwood. These planks have the ability to resistant the natural tendency of wood to expand and contract due to changes in humidity. They also come in the same species as solid hardwood does, so you do not have to sacrifice style for functionality. It is important to remember that although hardwood is a durable flooring option, it does have its limitations when it comes to where it can be installed. For the most part, hardwood is the perfect flooring option for places like bedrooms, living rooms, home offices, and even your dining room. Solid hardwood should only be installed in on and above level rooms. Engineered hardwood, however, can be installed in all levels of your home, even the basement. You should avoid installing any type of hardwood in rooms like bathrooms, kitchens or laundry rooms because of the high levels of moisture. At Lorens Carpet One Floor & Home, we offer only the best quality hardwood brands in the industry. As a member of the Carpet One Floor & Home cooperative, we have exclusive brands such as Rustic River™ and Voyager™. We also have National, Cronin, Homerwood, and Baroque. 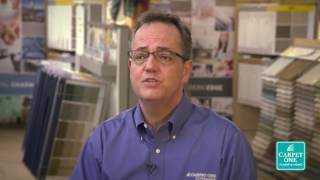 To learn more about hardwood, contact Lorens Carpet One Floor & Home in Missoula, MT. Caring for your hardwood floors is easy, and not only leaves them looking beautiful but can also help to add to their lifecycle in your home. Follow the link below to learn about a few hardwood care tips. Smart, sustainable, and completely renewable resources, bamboo and cork flooring has become a lot more popular in recent years. There are many reasons to love these natural wonders.